Dell might be working on a laptop that features up to four displays. The device could sport OLED screens stretched across different portions of laptop that are connected by hinges, according to a recently uncovered patent. According to the patent, users can fold the device in three-fold, four-fold and a standard laptop-like clamshell design where the device features one long display that folds over the hinge. That said, the patent also says you’ll have to use a wireless keyboard for any of these configurations. 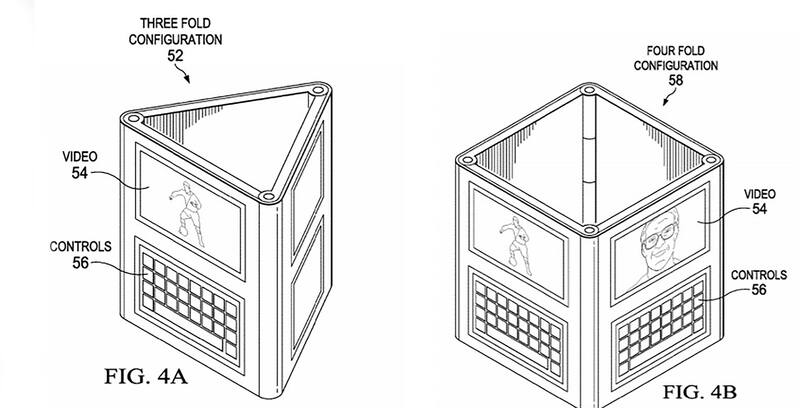 In its three-fold configuration, the phone looks similar to a pyramid, while in four-fold the device appears more like a cube. The above images also show the device displaying information on all of its screens. Dell filed the patent in January of 2017 and it was published by the U.S. patents office in July of 2018.